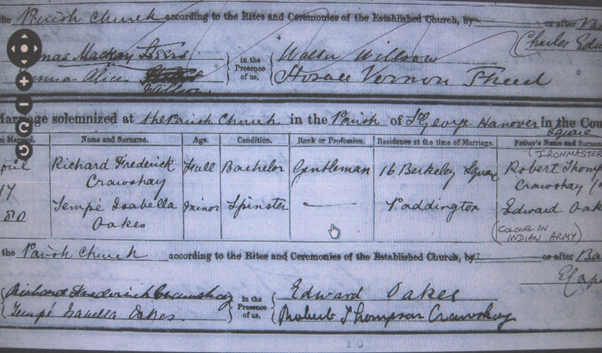 Richard Frederick Crawshay was baptised 3rd November 1859, he was the son of Robert Crawshay Iron master of Cyfarthfa Ironworks and Rose Mary Crawshay. Crawshay & Oakes April 17th, 1880 at St. George’s, Hanover-square, London, Richard Frederick, youngest son of the late Robert Thompson Crawshay, of Cyfarthfa Castle, Glamorganshire, to Tempe Isabella, eldest daughter of the late Colonel Teddy Oakes. By the Rev Capel Cure, Rector. Information reached Merthyr on Monday of the death on Sunday night at Boscombe, Bournemouth, of Mr Richard Frederick Crawshay, youngest member of the firm of Messrs Crawshay Bros. the famous ironmasters of Cyfarthfa. The deceased gentleman took up his residence some years ago at Ty Mawr, Abergavenny, but on account of ill-health had been sojourning at Boscombe. The deceased gentleman had suffered for a considerable time from lung complaint, and had been in the habit of visiting various places at home and abroad, more especially Switzerland, for the good of his health. The majority of his eldest son was celebrated a short time since at Abergavenny. Deceased was the third son of the late Robert Thompson Crawshay, of Cyfarthfa, who, as owner of the great iron works at Merthyr from 1867 to 1879, was associated with the decline and the end of the iron age and of Mrs Rose Mary Crawshay, who is still alive, and whose reign at Cyfarthfa Castle in the middle of the last century is still recalled with gratitude for the great work she achieved for the moral and mental uplifting of the community. When Mr Robert Thompson Crawshay died in 1879 he left the Cyfarthfa Works to his three sons, Messrs William Thompson Crawshay, now of Caversham Park, Oxon Robert Thompson Crawshay, and Richard Frederick Crawshay, the deceased. Mr W. T. Crawshay was the only one of the three brothers who took any active interest in the practical details of iron making, and it will be remembered that it was in the time of the Crawshay Brothers that the Cyfarthfa Iron Works were converted into steel works at an expenditure of £150,000. 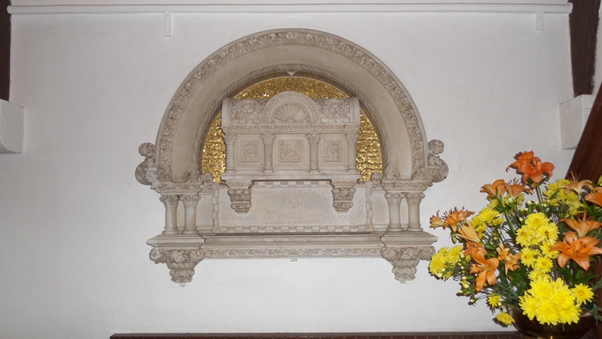 The deceased, who was born at Cyfarthfa in 1859, married in 1880 Miss Temple Isabella, eldest daughter of Colonel Teddy Oakes of Cheltenham, and resided at Ty Mawr, County Brecon, of which he was J.P. and D.L. 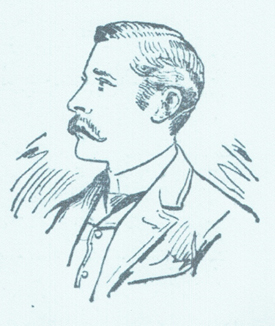 and High-Sheriff in 1887. The coming of age of his eldest son, Mr Richard Oakes Crawshay, born in 1882, was celebrated last year. Mr R. F. Crawshay resided at Cyfarthfa Castle in his earlier days. He afterwards went to live at Ty-Mawr, Abergavenny, which his father had purchased of Mr John Maund, and became an expert sportsman. Be had for some time been the first captain of the Cefn Volunteers and was then reputed to be a very good shot. It is a sad coincidence that at this moment Mr W. T. Crawshay is lying ill in the North of Scotland. Mr Richard Frederick Crawshay, of Tymawr, Brecon, J.P. and D.L., sheriff 1877, died at Bournemouth on the 25th October last, aged years, a son of the late Mr Robert Thomas Crawshay, the celebrated ironmaster, of Cyfarthfa, Glamorganshire, who died in 1879. The late Mr Richard Frederick Crawshay, in conjunction with his eldest brother and Mr R. T. Crawshay, carried on the Cyfarthfa works and collieries after the death of their father, the works being reconstructed for the production of Bessemer steel in 1883. The testator’s estate has been valued at £536,437 2s 7d gross, with net personality £509,566 9s 2d by his widow, Mrs Temple Isabella Crawshay I (daughter of Col. E. Oakes, B.N.I. ), his brother, Mr Robert Thompson Crawshay, of 35, North Andley Street, and Mr Wellington Taylor, of 59, Lincolns Inn Fields, solicitor, executrix and executors of his will of the 24th October, 1900, with two codicils, the last made 11th April, 1901. Mr Crawshay bequeathed £200 to his said brother, £100 to Mr Taylor, an annuity of £50 to his late bailiff Rees Jones, and legacies to other servants, and he bequeathed to his wife £300, his jewellery and personal ornaments and horses and carriages absolutely, and the use and enjoyment of Ty-mawr and the effects there and an annuity of £2,500 during her widowhood. Subject to Mrs Crawshay’s interest, the testator left the Ty-mawr estate in trust for his son Richard Oakes Crawshay and his heirs, and he left his residuary estate in trust for all of his children, but the share of each son is to be twice as much as the share of each daughter, and should any of his daughters marry any but an English or American subject, whose native language is English or Welsh, the share of such daughter is to be divided in equal shares among the testator’s other children.